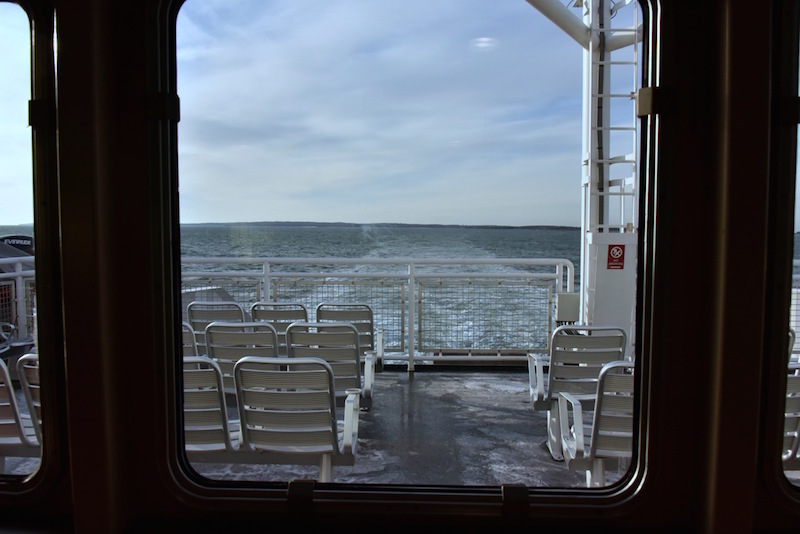 While acknowledging that running a year-round ferry service is doubtless harder than it looks, the view from the passenger line is clearly different from the one in the boardroom. How else to explain the fawning first-year performance review given by the Steamship Authority board of governors this week to Robert Davis, who took over as general manager of the boat line last summer? Asked to score him in three areas of management and strategy, the five governors and members of the port council put his performance in the high 80s to low 90s. Vineyard governor Marc Hanover gave him a combined score of 90 per cent. In school parlance, that’s an A-minus. Mr. Davis has had more than his share of challenges since taking over from longtime manager Wayne Lamson. He inherited a major terminal reconstruction project, had to contend with an unprecedented series of ferry breakdowns and cancellations this spring, saw the authority’s website crash on the first day of summer reservations and even had a shuttle bus burst into flames in the Palmer avenue lot. But while the board was quick to praise his calm demeanor and problem-solving skills, they were also forgiving of the Steamship Authority’s poor job of communications, identified as the number one concern among 2,000 boatline users who responded to a survey the Gazette conducted in May. And some Islanders who use and depend on the ferries wonder aloud whether many of the SSA’s problems were not of its own making. Consider what should have been a positive development: the overdue transition from paper ticket books to plastic cards. After a decade of allowing passengers to let their friends and family use tickets from the same coupon book, the SSA suddenly restricted the use of the cards to one passenger per trip, causing confusion, anger and delays at the point of boarding. Confusion was compounded with the introduction of the so-called Lifeline cards, which solved one problem and created another. This month the board of governors mulled reinstatement of the 10-trip cards, adding 50 cents per ride in embarkation fees. Since 2007, these fees — collected by the boat line, but remitted to the port towns — have been waived for people who pay in advance for 10-ride tickets. If there is a good reason for imposing a fee that has been waived for 10 years, the Steamship Authority owes it to its ridership to make that case. After a miserable spring, the ferry schedule has largely returned to normal and the addition of a communications director offers promise of improved public relations at the Steamship Authority. But it seems a little early to declare Mr. Davis an A-minus player. Just a few short months ago, the board of governors, under pressure to explain a succession of failings, authorized a major management review that is still underway. What would have been wrong in postponing Mr. Davis’ review until the results of that study were complete? Running the Steamship Authority is a complicated job but it seems important to remind the board of governors that their job is to protect the interests of the residents of the two Islands that the boat line is chartered to serve. Looking at performance from the passenger level might provide a better perspective. The action by the SSA Governors is reminiscent of the contract extension given to the previous airport manager right before the FAA threatened to pull the airport's commercial flight license. Mr. Davis didn't step into the SSA from the outside - he was an inside hire that had to know what was going on for many years before being named GM. I wonder if having a boat sink would have earned him a 95% rating? It's really time someone took managing the airport and the SSA seriously.